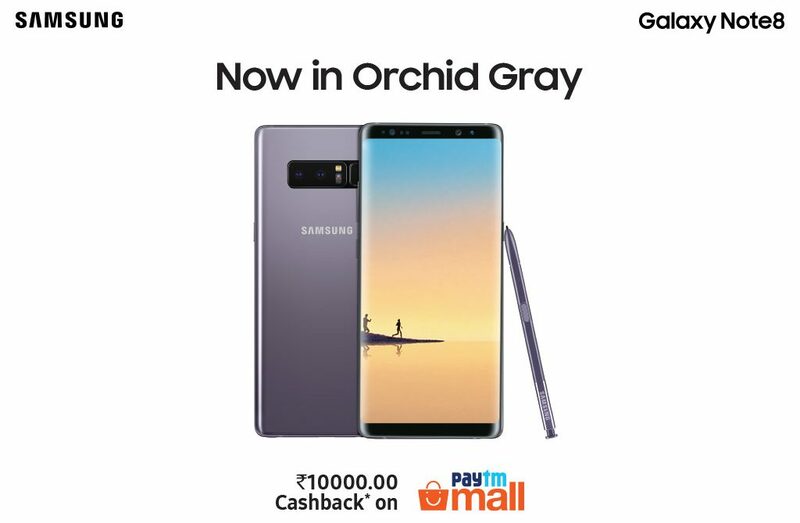 Samsung India today announced the launch of its best-selling flagship, Galaxy Note8, in the stylish Orchid Gray colour, offering the next level Note for people who want to do bigger things. “Galaxy Note8’s stunning Infinity Display, enhanced S Pen and true Dual Camera wowed consumers across the country. The classy and suave Orchid Gray colour will give consumers another great reason to buy Galaxy Note8 and express their own personal style,” Mr. Aditya Babbar, General Manager, Mobile Business, Samsung India, said.